Would you like more Sales? I imagine you're GREAT at what you do, aren't you? But, you're probably struggling with one of the most common business challenges out there...how to steadily get more sales. No matter how good you are at 'doing' what you do that doesn't mean you're good at 'marketing' what you do. But, it's not your fault. Running your own business is full of challenges, but marketing doesn't have to be one of them. Let us help. ​At TYME our passion is helping businesses just like yours reach more clients, create more impact and accomplish ​new heights of success through our powerful GRATITUDE MARKETING course and digital solutions. Gratitude Marketing is our specialized approach to marketing, that focuses on creating powerful, unique and magnetic incentives to attract customers to buy from your business over and over and over again. Our unique Gratitude Marketing system and product portfolio ensures you turn your marketing dollars into an investment, rather than expense. In fact, we focus on creating marketing for you that costs you nothing up front. Imagine every time you invested in marketing it was because a client was purchasing something from you, not because you were buying ads...hoping they earned you a sale. That's the effect of Gratitude Marketing. Start Working with us for FREE TODAY! This is how much more money it costs to market to a complete stranger versus marketing to someone who already knows your company. How much more clients spend when they are connected to your company through valuable gratitude marketing strategies. The average client tells 3 times more people about your business and their amazing experience if you practice gratitude and thank you's in your marketing. After discovering the power of 'Gratitude Marketing' and multiplying the profits in my brick and mortar business by 50x in just over two years I was finally able to break free of the financial bonds my business had been trapped in. After seeing my results I felt compelled to share what I'd learned, and help others achieve their dream business through this new approach to marketing. That's when I founded TYME. At Thank You Media our passion is helping businesses reach more clients, create more impact & reach new levels of success through gratitude marketing. Well imagine spending marketing dollars, not on advertising, but on sales. Imagine every time you paid for marketing it was because you’d made a sale. We call this “Reversing the Advertising Equation” and with our dynamic products and services we can help you implement this powerful growth strategy in your business. ​It turns out that GREAT MARKETING is the Golden Cog of a THRIVING business. In fact, It's the key piece that ensures those around you can find your business, hear your message and buy what you're offering. Businesses that have awesome products and incredible services go out of business every day, not because they aren't great, but because they they don't know how to systematically reach more people and increase their sales. ​As a business owner or operator you know that growth is crucial to your success, so many start buying advertising. They talk to a local newspaper, magazine, radio station, tv station, telephone book company & some even get bold and start advertising online. We call this the “Pay & Pray” model of marketing. You throw your hard earned money at Ad companies and pray that it gets you customers. It's a dangerous and expensive game to play that most business owners lose. ​In other words. If I asked you to give me 5% for every client I sent your way, but asked for nothing if they didn't buy...would you think that was a good deal? Why does Gratitude Marketing Work? Gratitude Marketing works amazingly well because it relies on 3 powerful laws of Human Communication that make doing business with you irresistible. Our portfolio of products and services are designed to give you the skills, knowledge and tools to incorporate Gratitude Marketing into the everyday culture of your business. Ensuring that your marketing is creating new sales, more profits and trusted results is our goal in working together. Have you ever found it challenging to stay on course in your business? Get the guidance you need to stay on track to reach your business and marketing goals with the TYME to THRIVE membership. With valuable weekly content and access to the ever growing TYME archive you'll get the guidance you need, when you need it. The essence of Gratitude Marketing is saying "Thank You", and there's no better way of doing that, then with an awesome Loyalty Program. TYME is proud to offer one of the worlds best 'Small Business' oriented Loyalty Programs. This Loyalty program can easily bolt onto any existing business giving you a Fortune 500 rewards platform at local business pricing. Connect with us for more details and program features. Why was their no profit? This was the question Michael Bridgman, CEO of TYME, was asking himself back in 2009 when he took over the family business. He knew their were two parts to the answer, they had to increase margins and they had to increase sales. The challenge was...how do you do both at the same time? There were tough decisions made when it came to staff, inventory, operations and culture. But, none of those decisions were as difficult as the one he made to commit 5% of every dollar of revenue to marketing the company. With such little room for error those dollars had to work for them. Through years of trial and error and hundreds of thousands of dollars spent on both marketing and marketing education the family business not only survived, but it's thrived. As of 2018 the business now creates over 3 times the revenue it once did and is highly profitable. Throughout this journey Michael discovered a golden key to marketing and growing companies and it's this golden key that forms the cog around which all of his businesses are built. That golden key is: gratitude. 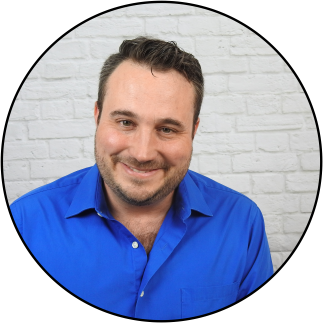 It's now become Michael and the team at TYME's passion to guide businesses to greater success through their gratitude systems, courses and tools.